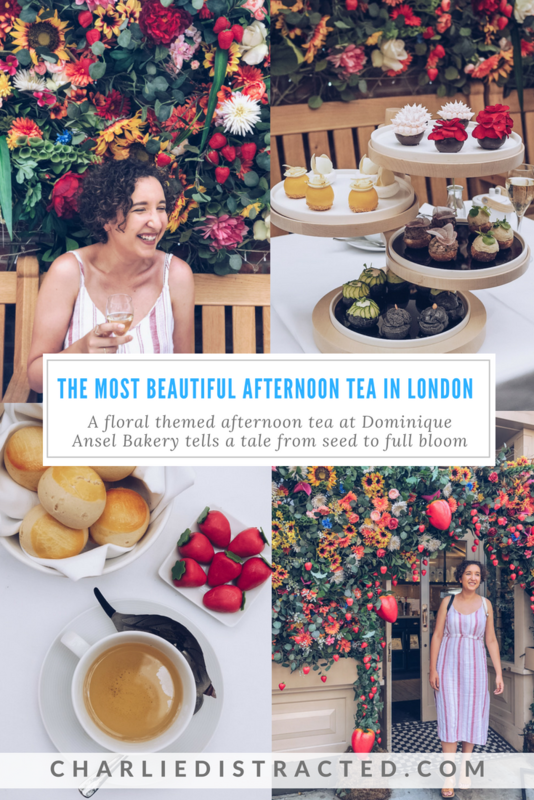 A new kid on the block: the floral inspired selection of the afternoon tea at Dominique Ansel bakery in London takes you from seed to bloom in a few delicious mouthfuls. Despite sitting down for afternoon tea being the crowning glory of British stereotypes (the nice ones, at least), it’s still managed to get a stuffy reputation. 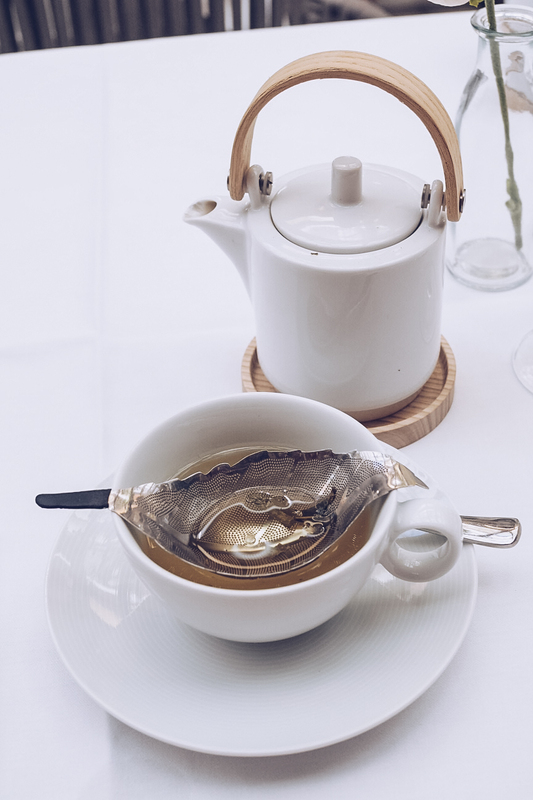 Crustless cucumber sandwiches and dry Victoria sponges served on bone china atop crisp white tablecloths have slowly been pushed aside for new spins on the old favourite; modern interpretations of tea + sandwich + cake that are as interesting to look at as they are to eat. 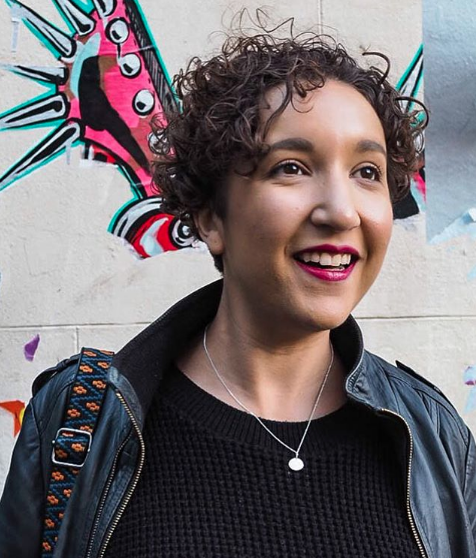 Dominique Ansel is the famed creator of the cronut, a glorious hybrid of croissant and doughnut that sells out at his London and New York bakeries by lunchtime every day, but his imagination stretches further than one item on the menu, and the recent introduction of the afternoon tea shows exactly that. 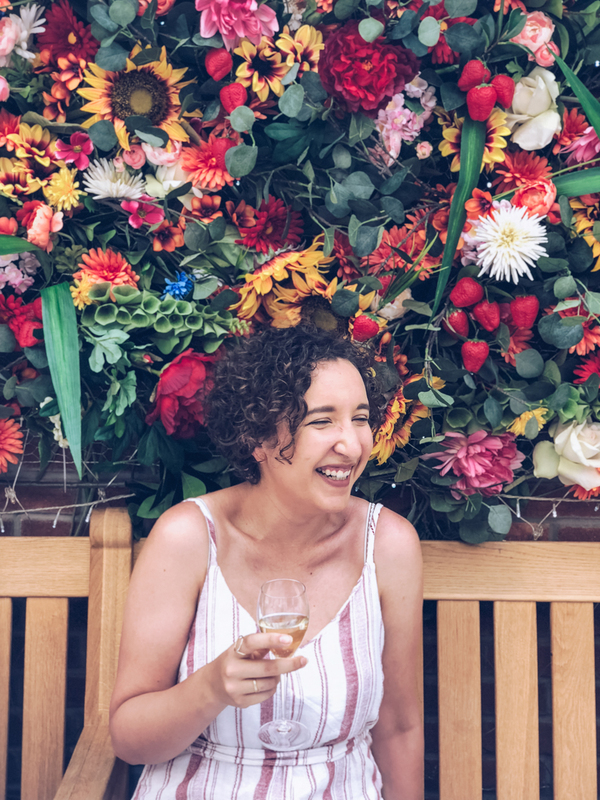 A 90 minute sitting in the glass-roofed ‘garden’ portion of the bustling cafe allows you to sit within a story, starting with the beautiful floral wall and the terraniums hanging from the ceiling. 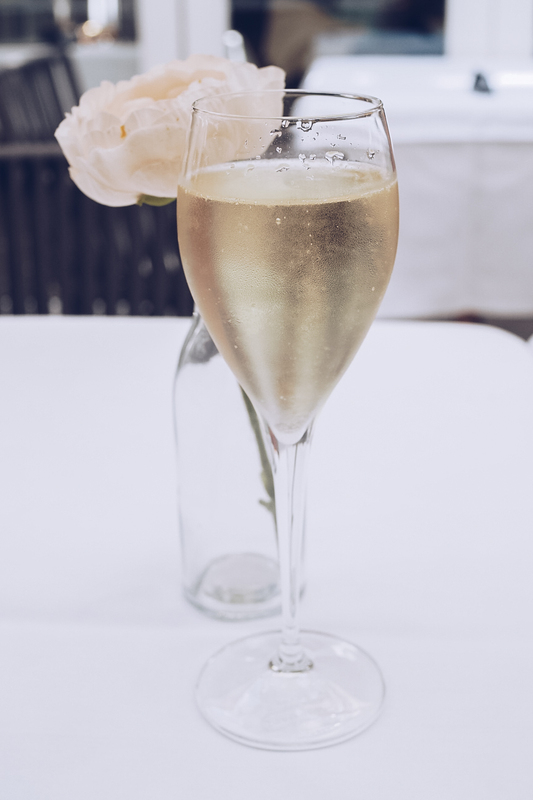 A glass of Laurent Perrier Brut helped us forget about the packed tube/abandoned cab/40 minute walk from Soho we’d endured to get there (Pride mixed with a England World Cup match makes for a busy Central London, who knew?! ), and we started the more official parts of an afternoon by selecting a tea. I had a pot of Yunnan Green Tea, topped up with boiling water when I needed it, and unlike a lot of green varieties, it wasn’t bitter at all. 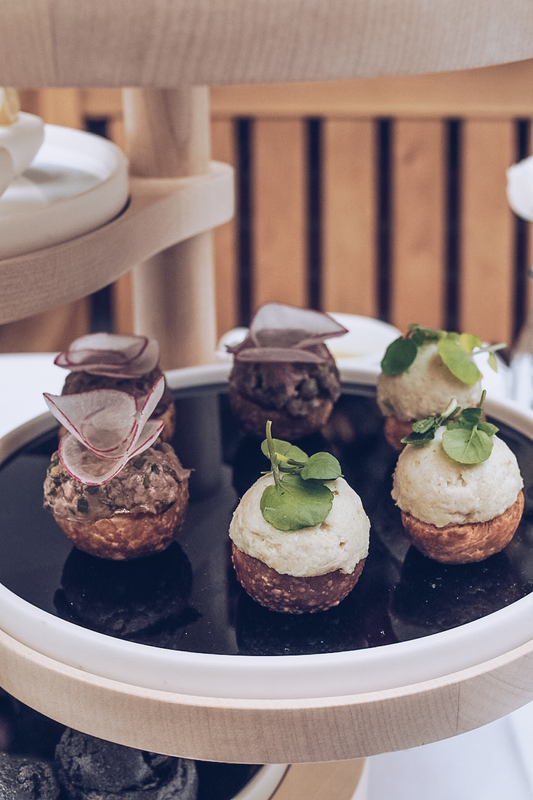 The savoury and sweet portions of the food both represented the life stages of a leaf and flower respectively, which sounds ridiculously pretentious, until you eat your way through it step-by-step and it all makes delicious sense. 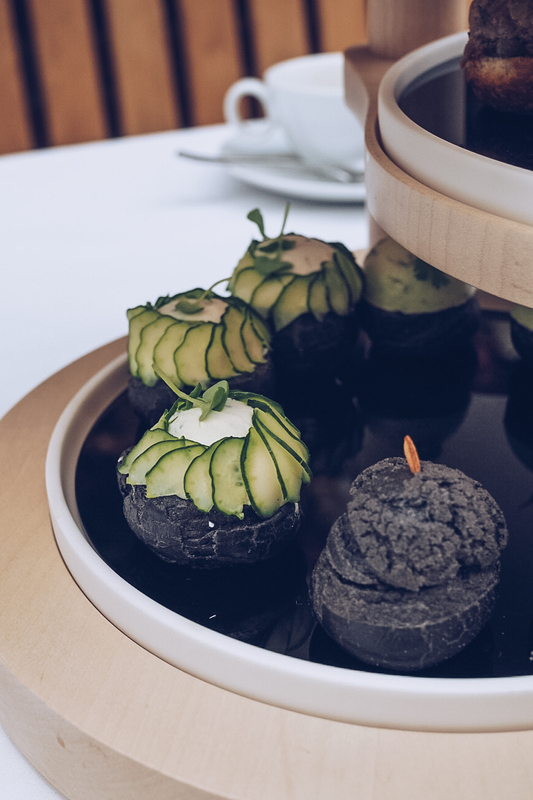 We started with a savoury bite for the ‘seed’ element: a squid ink choux filled with wild mushrooms, a powerful but understated flavour from the confit garlic and a tiny crunch from one delicately placed pumpkin seed on the top. Moving on to the ‘shoot’ was the most pleasantly surprising taste for me. 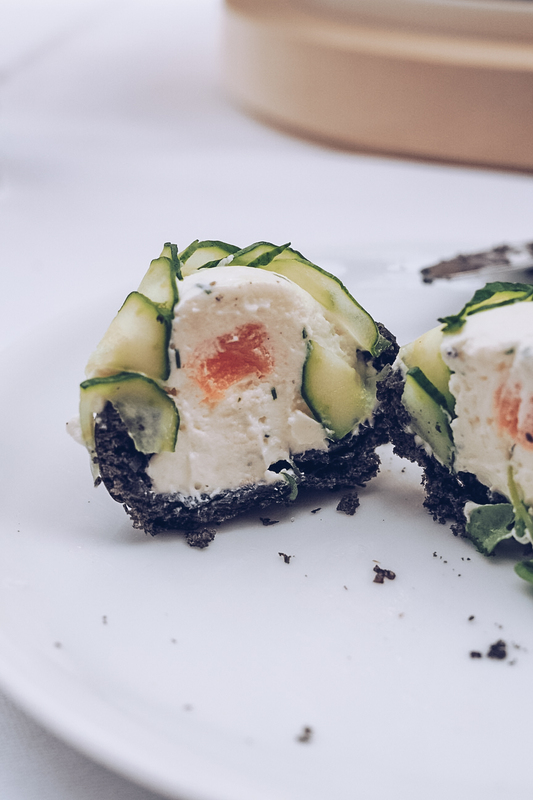 Against all of my millennial instincts, I am just not a fan of avocado, but another squid ink choux filled with a mousseline of avocado whipped with feta didn’t offend me nearly as much as I’d anticipated. Mixed with green chilli and coriander, it’s most like the flavours I cook with at home. 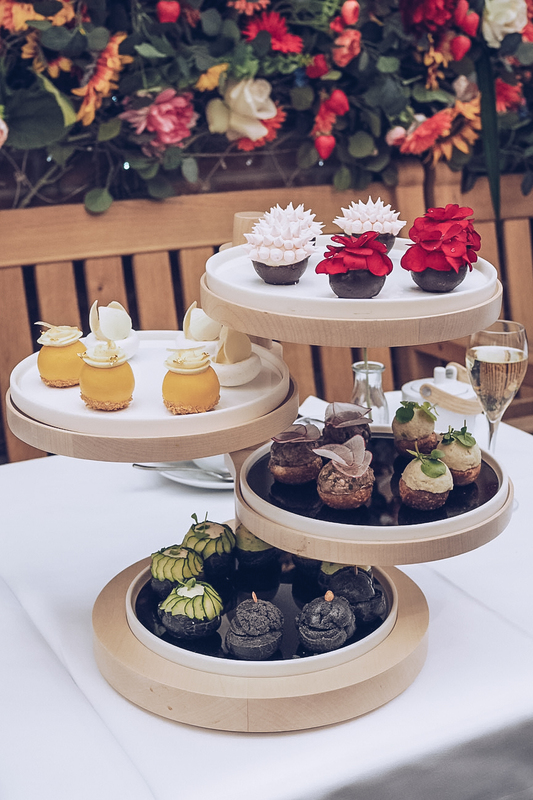 The ‘young leaf’ bite was probably the tastes most similar to the sandwiches of a traditional afternoon tea, with smoked salmon, dill and cream cheese being joined by Asian flavours of yuzu and Japanese cucumber. Moving through to ‘full leaf’ progressed the fresh flavours even further with Cornish crab, apple and celery on brioche which meant the final morsel for ‘fallen leaf’ didn’t feel too heavy. Steak tartare with creme fraiche and radish on brioche toast brought the savoury portion to a close and set us up nicely for some sweet treats. There are numerous flavours in the sweets that I wasn’t sure about, but of course, I tried them all. 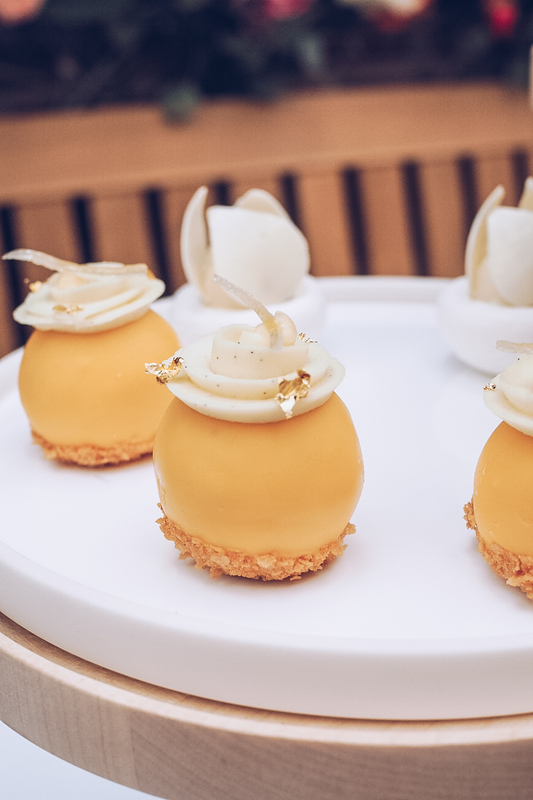 All flowers start as buds, and this one was made of delightfully subtle lavender meringue, coconut ganache and passion fruit gelee that were perfect together, and cleverly encased within white chocolate petals. Sadly, the ‘flower’, with a freshly made lemon marmalade that totally took over from the vanilla mousse, wasn’t to my taste at all, but my mum happily took it off my hands and said it was her favourite of the sweet options. 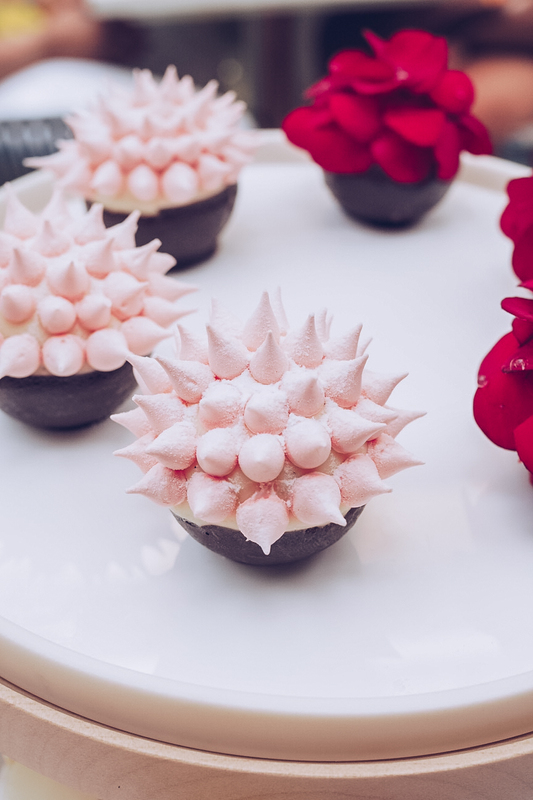 The ‘blossom’ was the biggest surprise to me, because although it was easily the most impressive with those tiny intricate meringue kisses, I wasn’t sure I’d like the cherry jam inside. How wrong I was, with a dark chocolate shell and mascarpone mousse combining to steal the prize for Best Sweet of the Day. 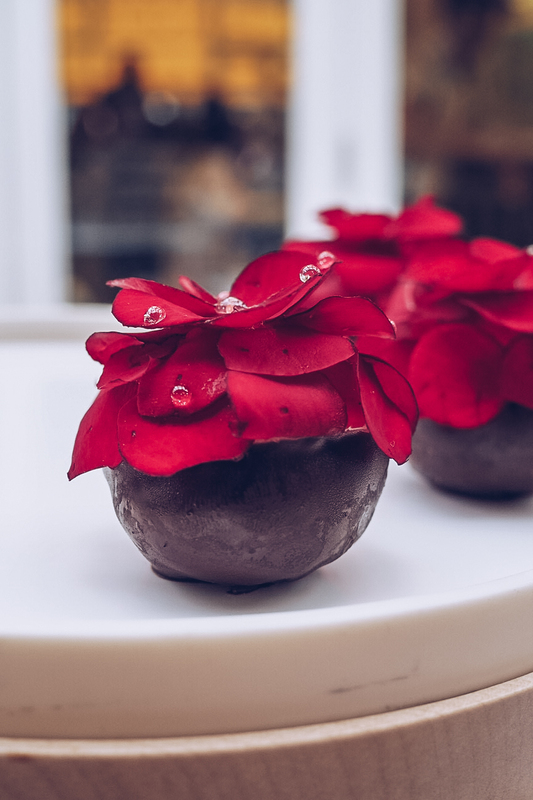 The final flourish for the cake stand portion was the extravagant ‘full bloom’, made up of brown butter financier, strawberry jam, rose ganache and actual rose petals, which were much more delicate than I’d anticipated and not hugely floral despite being, you know, part of an actual flower. The magic didn’t stop there though and a the traditional aspect of scones with jam and cream rounded off the afternoon. 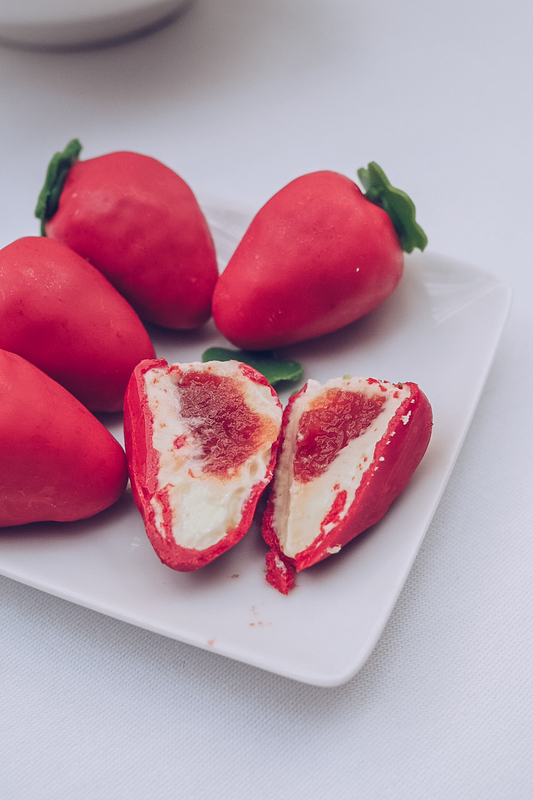 If you’ve ever had the argument about jam or cream first, Dominique Ansel has come up with the solution: piping them both inside a thin chocolate strawberry shell. 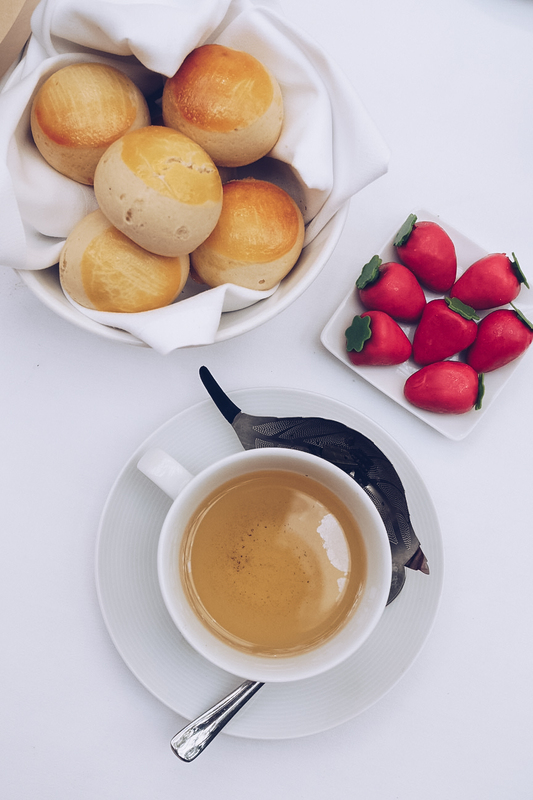 It simply melts down on the fresh-out-of-the-oven scone and gives the perfect ratio of jam and cream mixed gently together – what a dream. Afternoon tea at Dominique Ansel Bakery tells a beautiful story, with a variety of flavours that take you on a journey you can easily follow. It’s unpretentious and elegant, bringing curiosity together with simplicity for a unique take on a classic. 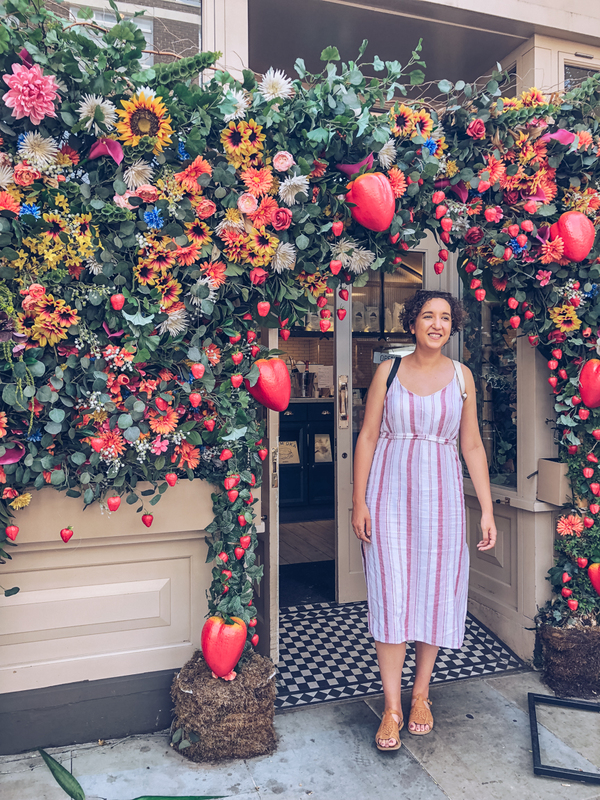 Next Post Are Boutique Hostels Really Worth the Money?